In a perfect world, my next career move would be leaping across the ocean and joining Kingsman: The Secret Service. The selected agents known as Kingsmen are given code names according to Arthurian legend (Arthur, Galahad, Lancelot, Merlin…) and they set out to keep the world safe without receiving acknowledgement for their heroics. Pair the literary references with the super spy glamour and mix in a little Colin Firth and I am completely sold! There will be plot line discussions, so if you haven’t seen it yet, take a quick break and watch it. On the fence? Perhaps my review will entice you to join the ranks! Smart suits, sharp glasses, and kicking of much asses! I am a sucker for Colin Firth. Many of my favorite British Films involve him because he tends to play a similar character: well-versed, intelligent, a little socially awkward, and gentlemanly. Some of my favorite Firthings include: Pride and Prejudice, Bridget Jones’ Diary, Love Actually, The King’s Speech, and without a doubt Kingsman: The Secret Service. Firth’s filmography is quite diverse, but it seems I have a particular Firth niche which I prefer. In Kingsman, Firth plays, Harry Hart (code name: Galahad) who takes on a protege Gary “Eggsy” Unwin. As fate would have it, Eggsy’s own father was a Kingsman candidate who was killed in the line of duty, sacrificing himself to save Harry and the team. So years later, when Eggsy finds himself on the wrong side of the law, it is Harry who comes to his rescue. I’m such a sucker for a well-mannered, sharp dressed man. As Eggsy watches Harry beat six hoodlums with nothing but an unusual umbrella, his curiosity is piqued. Knowing his father was once part of Harry’s organization fuels his desire to learn more about the secret organization his father sacrificed his life to protect. I bring up this epic quote because soon, I shall have it on a shirt! Jordan Dené, a designer in Brooklyn, makes fantastically geek chic apparel featuring movie and television quotes from various fandoms. Select quotes from Harry Potter, Game of Thrones, Doctor Who, Princess Bride, Star Wars, and Marvel have made their ways onto screens used to print these soft cotton shirts. In 2016, JD decided to launch a Shirt of the Month promotion, starting with “As You Wish” from The Princess Bride in January. It crushed me that I missed out on a chance for a quote from one of my favorite films of all time, so when March’s SotM proclaimed that “Manners Maketh Man,” I bought it on Release Day to avoid missing out again! 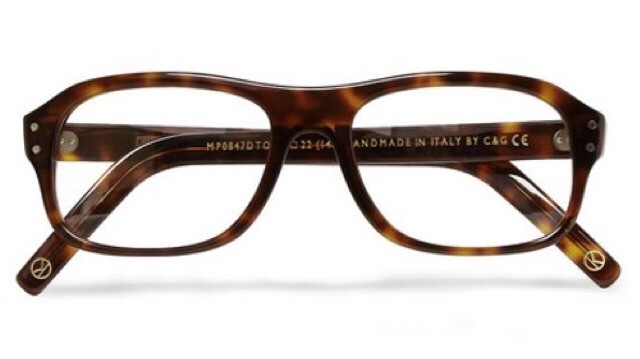 Subtly nerdy, geek chic? Somebody’s finally punched my card! Living in Florida, I have far more opportunities to enjoy tank top weather, so I purchased the sleeveless version. I am already contemplating coordination. I have a golden yellow sweater which I often wear for work, but usually with my Star Trek Command pin. For a more formal look, I was thinking of layering the tank over a button-down Oxford shirt and pairing it with a pair of smart trousers or a pencil skirt. 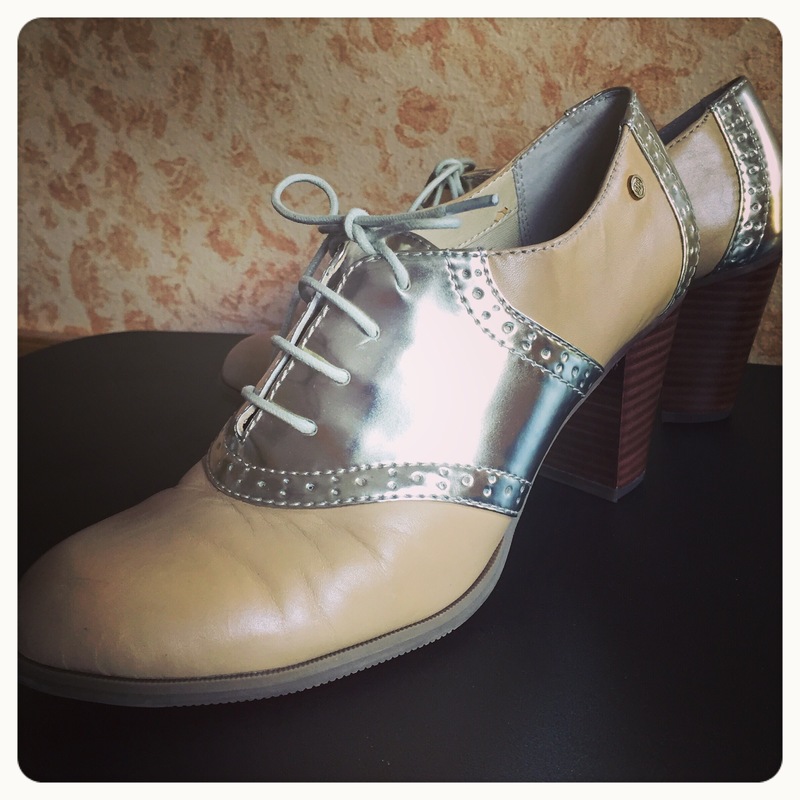 I would love to wear it with my GH Bass Eloise heeled Oxfords, but I would break the “Oxfords over Brogues” rule with the punched design in the patent gold saddles. I believe the show selection would vary depending on the selection between trousers or a skirt. A tailored, pinstripe blazer would finish the look. I also plan to wear tank top in a more casual, Floridian sense, so I’d like to pair it with some colored chino shorts or a yellow seersucker skirt. In lieu of my usual Converse or Havaianas, I would try to pair it with a pair of ballet flats or leather sandals. I would definitely wear my hair up in a polished ponytail or perhaps a chignon. I cannot wait until my shirt arrives, so I can start playing around with different looks. I wonder if my Oxfords would be forgiven for their Broguing. In the film, the casual style of the competitors for Lancelot’s vacancy are reminiscent of a Ralph Lauren’s Rubgy line ad with chinos, blazers and leather boots. When I lived in Westchester County, New York, I regularly hopped the state border to Greenwich, Connecticut to visit the Rugby store. I loved the classic, Ivy League look, but only shopped the sales as the ticket shock was quite crippling for the girl next door. My favorite pieces from that time were a pair of knee-high argyle socks and a navy and gray letterman’s jacket which I scored in a 70% OFF sale. Thinking ahead to next fall, and keeping my fingers crossed for the Kingsman sequel, I’m planning on dressing up for the occasion. The Twitter feed for KingsmanMovie is full of nifty little animated vignettes illustrating the Bespoke Lessons for Gentleman Spies. The lessons include showing how everyday items can be used as weapon, always being prepared for the worst, and protecting your date as well as using them in a fight. At Mr. Porter, folks had the opportunity to snag officially licensed Kingsman designs complete with clothing, accessories, and luggage! Most of the items are sold out, but I would love to get the Kingsman Deakin & Francis Rose Gold-Plated Keyring ($150). Not that I couldn’t find other items monogrammed with a “K,” but I really dig the Kingsman motif. I do love the concept of the availability of luxury tie-ins for films and other media, but it usually crushes me at the same time. This is primarily because said items are out of my price range, or they are in such limited run that they sell out well before I learn of them. I do love a pair of faux tortoise shell glasses! In the mean time, I’ll mix and match up my personal Kingsman wardrobe and workout completing the challenges on Kingsman Knight Challenge. There is also an interesting combination of adult beverages with junk food in the film, but I’ll see about making healthier combinations in the name of Kitchen Experimentation. I would love to pick up the graphic novel series on which the film was based, The Secret Service, but I’ve been told it is rather different from its live action adaptation which makes me want to read it even more. They need more women in the Kingsman, so I’ll be going by Code Name: Guinevere. Which Kingsman accessories would best coordinate with women’s fashion? Which Arthurian code name would you prefer if selected as a Kingsman? Enjoy The Honest Trailer, Mates!